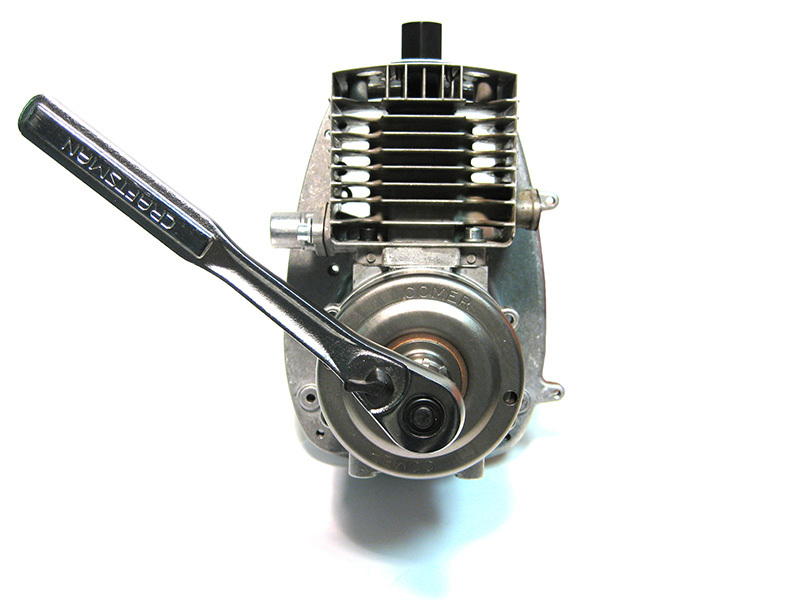 Installing the clutch is relatively simple. Here are few important steps that we will explain in this section. It is very important to make sure everything is clean. 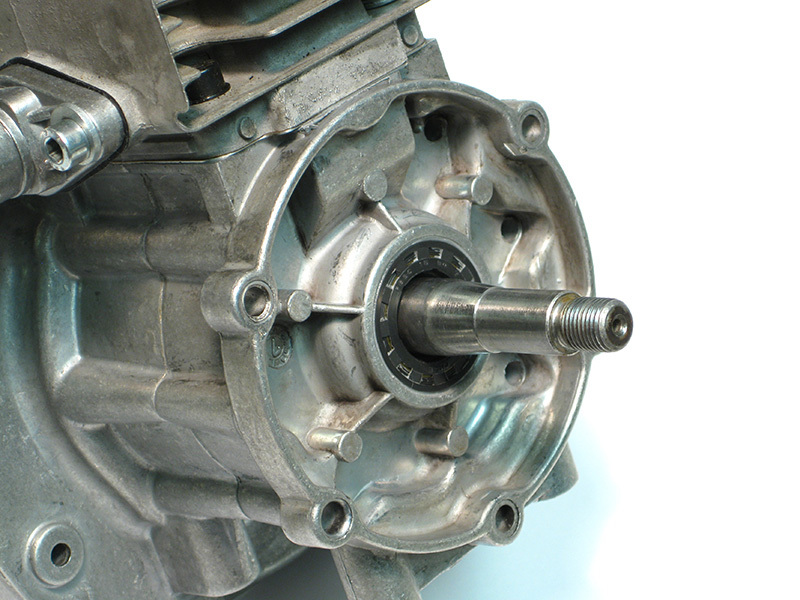 Make sure all of the clutch dust, oil and grease is removed from the drum. 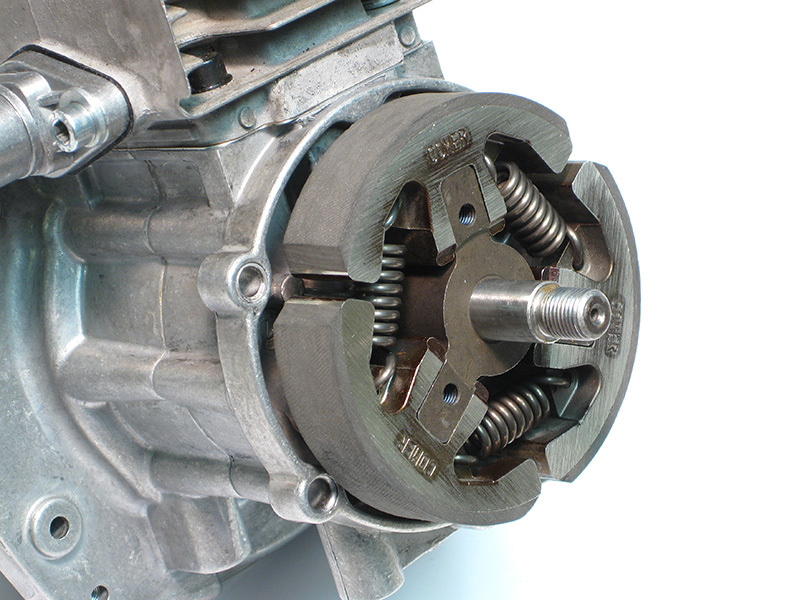 The clutch assembly should be cleaned with brake clean and completely dried. The bearing, sleeve and nut should be cleaned with solvent to remove all grease and dirt. 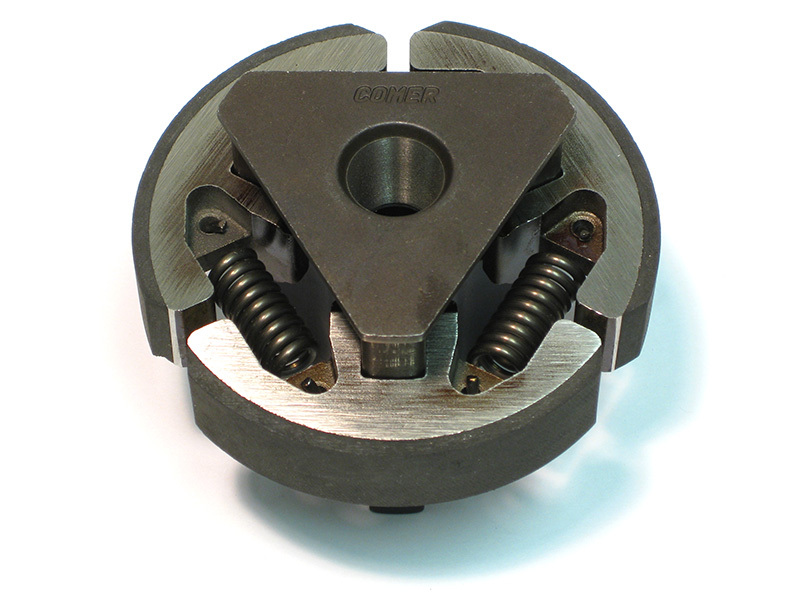 Place the shoe spring assembly over the tapered end of the spring assembly tool with the "Comer" logo facing up. 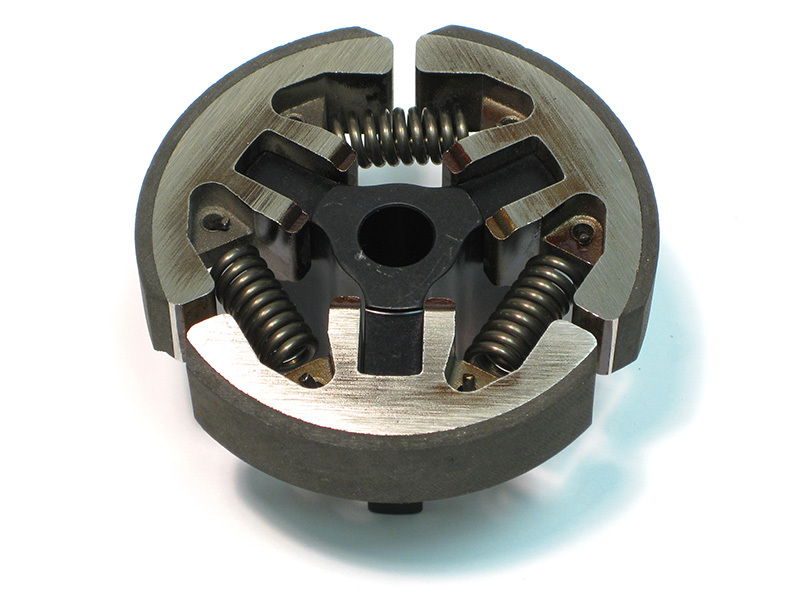 Using even pressure, push the shoe spring assembly down the taper until the assembly has bottomed out and been completely expanded. Invert this assembly and then slide the shoe spring assembly up slightly leaving 3 small pockets for the clutch hub. 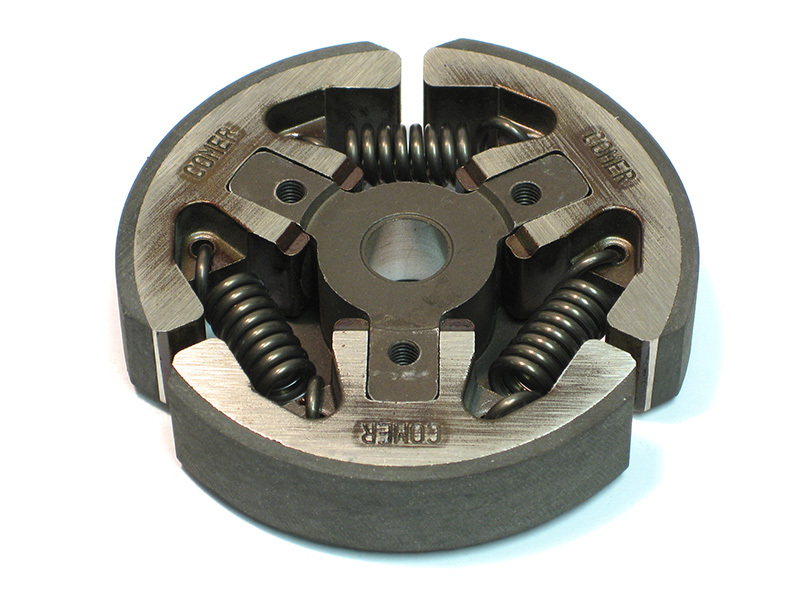 Then place the hub on top of the tool as shown. 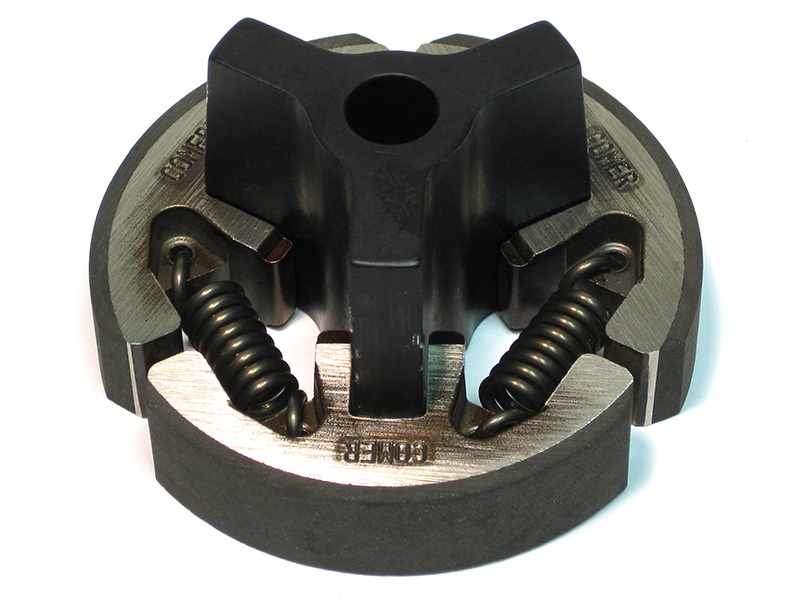 Make sure all 3 legs of the hub have been inserted into the 3 small pockets inside of the shoes. At this point slide the clutch on to the hub completely releasing the shoe spring tool. 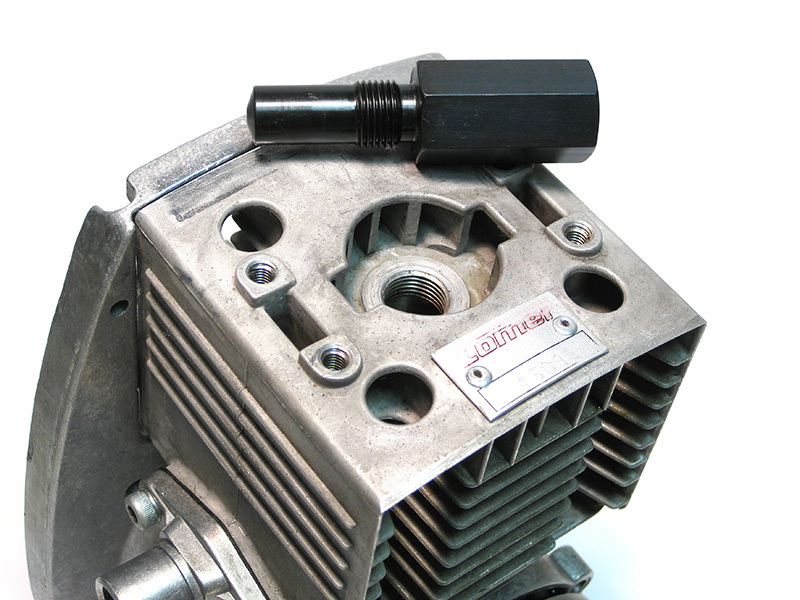 Make sure that the taper on the crankshaft and the taper in the I.D. 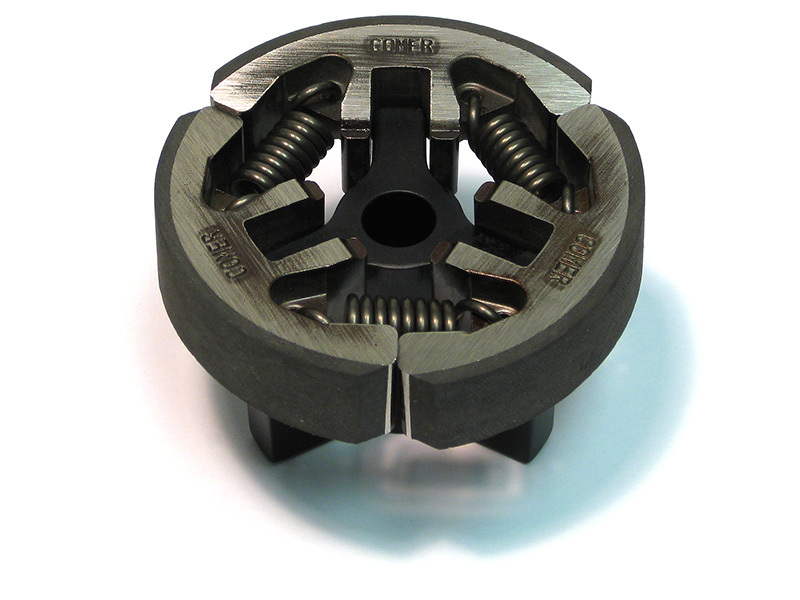 of the clutch hub a free from dirt or oil. 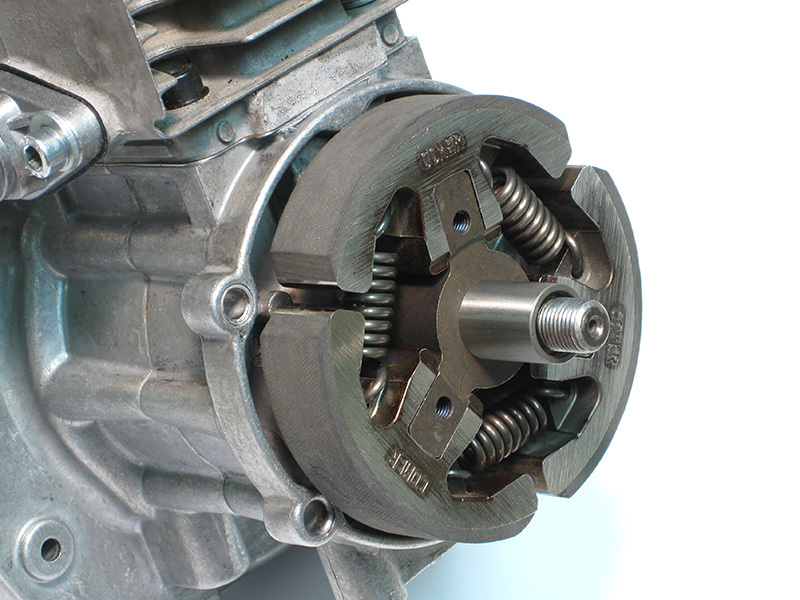 Slide the clutch/hub assembly on the crankshaft seating against the mating taper. 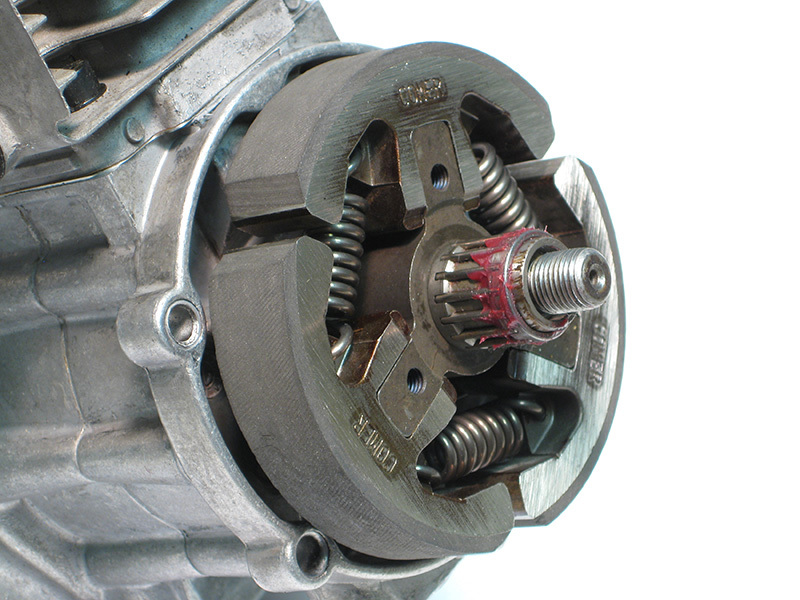 Slide the bearing sleeve on the the crankshaft and push it up to the clutch hub. Using a small amount of High-Temperature Grease to coat one end of the clutch needle bearing. 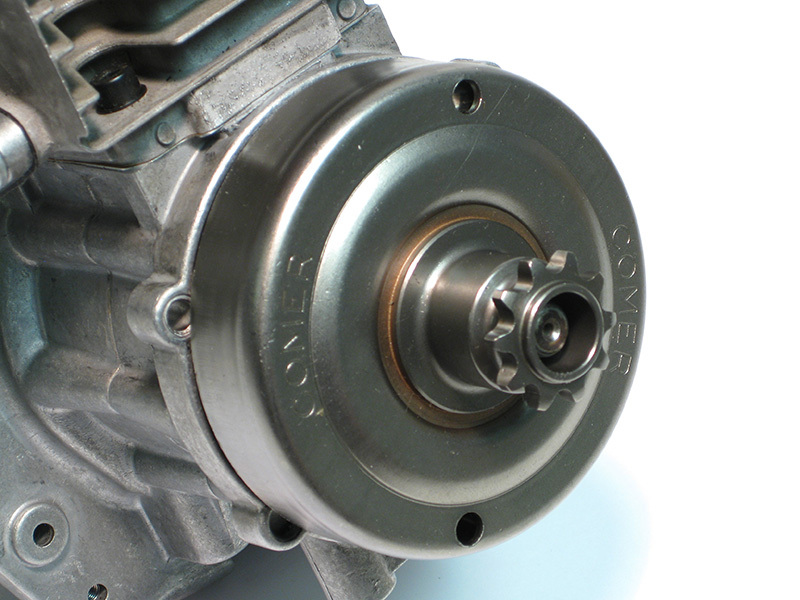 Slide the bearing over the clutch sleeve and up to the hub. Position the grease packed end of the bearing out as shown. This will help in not getting grease up into the clutch drum. 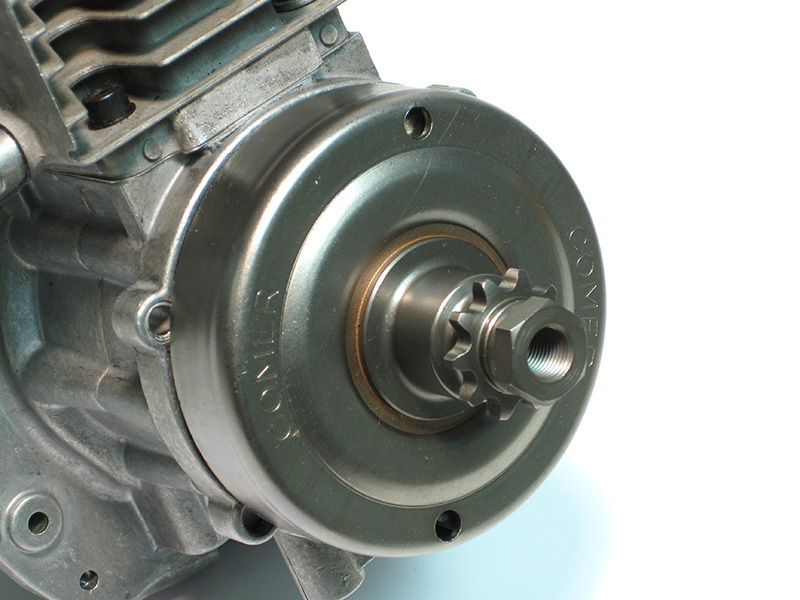 As the motor and clutch assembly heats up the grease will weep into the bearing. Slide the clutch drum over the installed clutch assembly. Spin the clutch drum to make sure everything is free and smooth. Apply a small amount of High-Temperature Grease on the O.D. of the clutch nut and up to the shoulder. Install the nut by hand using a small amount of Reusable Thread Locker on the threads. Spin the drum again to ensure everything is free and smooth. 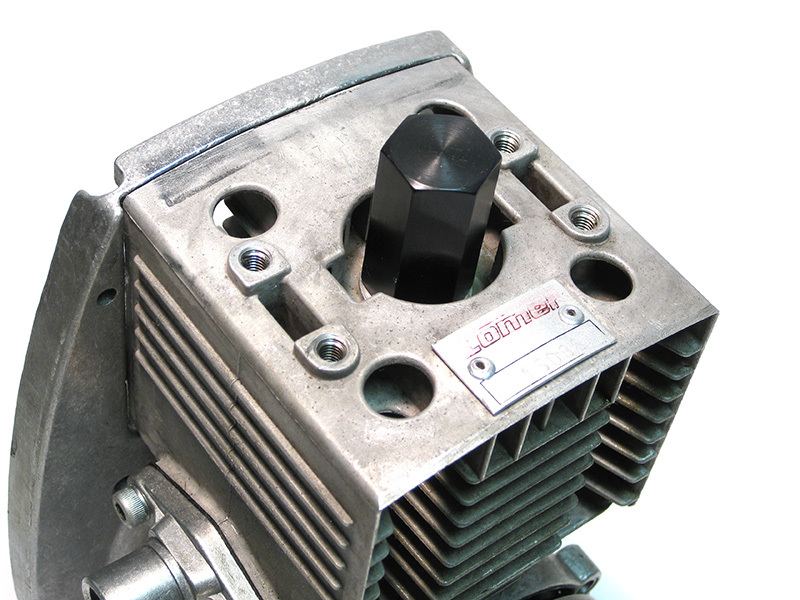 Turn the crankshaft clockwise carefully until the piston meets the piston stop. 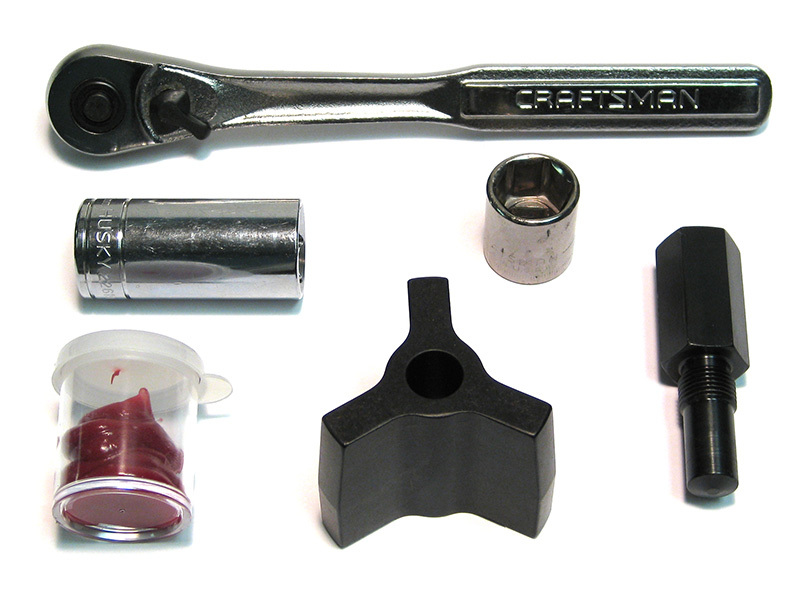 Tighten the clutch nut with the 17mm socket and ratchet. A torque of approximately 25-35 ft lbs. is required. Remove the piston stop when finished. Remove the piston stop when finished.